Consumers can now access convenient, high-quality prepared foods through a variety of channels beyond traditional grocery stores and restaurants—including mini grocery stores, Amazon food lockers, home delivery, food trucks, next-generation vending machines, and grocerants like Eataly. Though the channels may vary, what consumers look for in prepared meals is surprisingly consistent. Looking ahead, trends in 2019 include global flavors, fresh ingredients, protein, and more. Competition is fierce in prepared meals—between food manufacturers and food service providers, between fresh and frozen, and of course within the categories themselves, especially frozen dinners and entrées. And all prepared meal providers are up against the growing trend of snacks as meals, which can range from a nutrition bar to a Greek yogurt with a bottled smoothie to a snack pack of cheese cubes, jerky, nuts, and dried fruit. Prepared meal providers will find that success lies in delivering on consumer expectations and watching trends closely. According to The NPD Group, consumers are eating more meals at home than they did a decade ago.2 The recent increase in food service spending reported in the news only reflects price increases and not an actual increase in customers. This means that any effort to give people the restaurant experience at home will get noticed. Providing gourmet meals is the easiest way to achieve this. Gourmet can mean specialty ingredients, special processing methods, or recipe development by a famous chef. The Frontera Chicken Fajita Bowl checks all the boxes. This frozen “Gourmet Mexican Cuisine from Chef Rick Bayless” is made with grilled chicken breast, chipotle fajita sauce, and fire-roasted peppers. SO RIGHT Sriracha Chicken Mac & Cheese elevates traditional macaroni and cheese, while Stouffer's Simply Crafted Spicy Pomodoro Penne transforms pasta with tomato sauce into a culinary experience. While prepared meals typically contain protein, often as the main attraction, the consumer push for more protein has led marketers and product developers into a frenzy of front-of-package protein claims. Healthy Choice Power Bowls boast 15 grams of protein, while Stouffer’s Kit Kitchen Bowls offer 20 grams or more. Newcomer Primitive Feast is offering frozen meals with 27 to 38 grams of protein per serving. Though chicken and beef continue to be popular choices for protein, plant-based protein is growing quickly in prepared meals, primarily from beans. Birds Eye Steamfresh Protein Blends offers chickpeas in its Tuscan Style flavor, black beans and lentils in its Southwest Style, and lentils, peas, and edamame in its California Style. Each one is a good source of protein and offers 10 grams of plant protein per serving. Competitor Pictsweet Farms also combines rice with beans in flavors like Zesty Cajun Protein (with lentils and red beans for 20 grams of protein) and Bold Fiesta Protein (with black beans, black-eyed peas, and lentils for 19 grams of protein). Plant proteins can also be added as isolates and concentrates to achieve high protein levels and can be easily incorporated through a custom nutrient premix. New product launches in prepared meals seem to be all about ethnic flavors this year. This strategy provides consumers with a variety of taste adventures, all within a single product line, to ensure there’s something for everyone. It also brings a taste of the restaurant experience into the home. Authentic Korean and Hispanic flavors are ramping up, while Chinese and Indian flavors continue to do well. New flavors launched under the Healthy Choice Power Bowls line included Cuban-Inspired Pork, Korean-Inspired Beef, and Adobo Chicken. Lean Cuisine added two new Asian meals, Mango Chicken with Coconut Rice and Garlic Sesame Noodles with Beef, while EVOL’s new entrée line included Ginger Soy Udon Noodles, Korean BBQ Chicken, and Shawarma Style Chicken. Adding global flair to prepared meals can mean a recipe based on a traditional ethnic meal or it can be as simple as adding a sauce or seasoning to a familiar favorite. 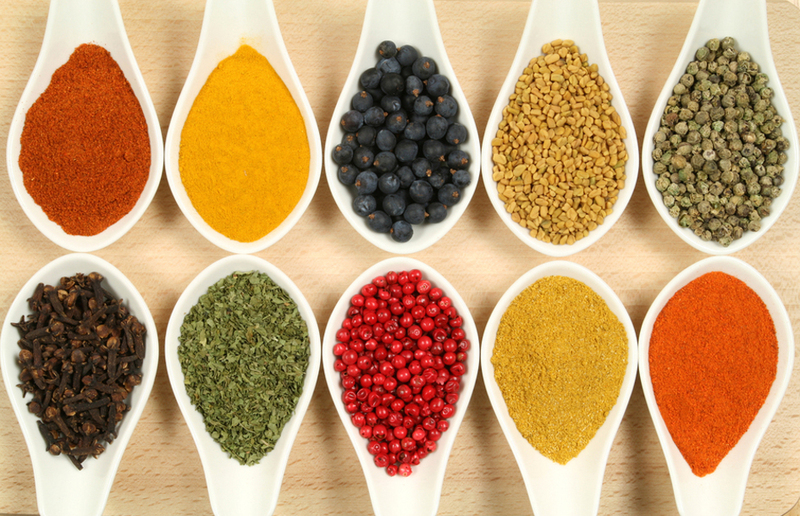 While hot and spicy is in, it’s important to note that it can be done in different ways. Condiments like sriracha, harissa, and gochujang can all deliver the heat of red chili peppers, but with very different flavor results. Using whole grains is another way to differentiate in prepared meals. Rich in fiber and B vitamins, whole grains are a nutritious alternative to the refined grains and starchy vegetables (like potatoes) traditionally found in prepared meals. For today’s health-conscious consumers, whole grains stand out on the ingredient statement, as well as on the nutrition label due to their fiber contribution. Whole grains are featured in Bellisio Foods’ newly launched SO RIGHT line and in the six new products launched under its EatingWell brand. Birds Eye Steamfresh Protein Blends calls out “a blend of whole grains” on the front of the package, along with other ingredients. Pictsweet Farms specifies “brown rice” on the front of its package. 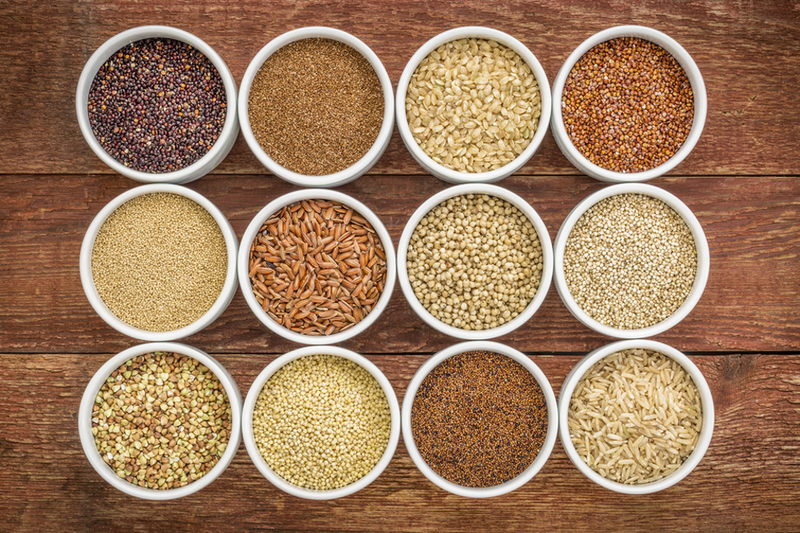 Whole grains showing up in prepared meals include brown rice, wild rice, whole wheat pasta, bulgur, and quinoa. Where whole grains are not well-suited to a product, due to texture or other issues, healthy fiber and vitamin levels can still be achieved through fortification with a custom nutrient premix. According to IRI, sales in the fresh perimeter of the grocery store grew 3.8%, while frozen sales grew only 0.5% during the four-year period analyzed.3 Fresh is strongly associated with health and wellness by consumers, giving refrigerated prepared meal brands like Ready Pac, Nourish Bowls, and Café Spice an advantage over frozen prepared meal brands. Grocery stores also sell refrigerated prepared meals under their own brands. More recently, meal kits have been moving into grocery stores driven by financial concerns over the home-delivery, subscription model. Though not technically a prepared meal, meal kits provide pre-portioned and sometimes pre-cut ingredients, as well as any required sauces or seasonings. Placed next to refrigerated prepared meals in the store, they are sure to provide some competition. Another advantage of fresh brands is the ability to use local ingredients, such as local produce, eggs, and meats. Though it certainly increases the complexity of sourcing and product development, it can be worth it. Front-of-package messaging about ingredients from local farms is a draw for consumers as it speaks to transparency, sustainability, and supporting their communities. 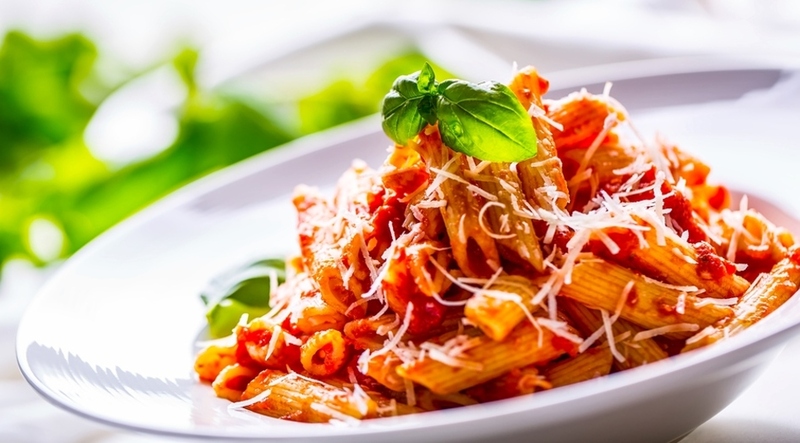 Prepared meals companies have risen to the challenge of clean label formulating. Even in the frozen aisle, claims of no artificial ingredients abound. In addition, non-GMO and organic ingredients are becoming increasingly common. Marie Callender’s Delights dinners are free of artificial colors, flavors, and preservatives, while Stouffer’s Simply Crafted meals are non-GMO, contain no preservatives, and are made with organic pasta. Allergy-friendly is another approach to clean label. While Amy’s Kitchen is known for its gluten-free options, Primitive Feast has expanded the idea further by offering entrées free of gluten, milk, and soy. Claims of hormone-free, antibiotic-free, cage-free, and grass-fed are also gaining traction in frozen prepared meals. In addition, words like “simple” and “real” are effective ways to signal clean label. The bottom line is that consumers want healthy products that taste delicious. Although no easy feat, prepared foods companies are delivering. While healthy nutrition and exciting flavors will continue to drive consumer purchasing decisions, other factors to keep an eye on are convenience, value, and mission-driven brands that consumers feel good about supporting. Trust Watson to be your partner in creating the nutritious foods in demand by today’s consumers. A custom nutrient premix from Watson can boost your product’s protein, fiber, vitamins, and minerals for a competitive edge. Click to watch our video on choosing a Custom Nutrient Premix supplier.